-Residents will have the chance to speak up about a proposed Duke Energy rate increase proposal at a public hearing of the North Carolina Utilities Commission at 7 p.m. on Wednesday at the Buncombe County Courthouse. A demonstration will be held beginning at 5 p.m. at the Vance Monument in Pack Square Park, one that will include street theater and visual performances rather than rambling speeches, according to organizers. Customers and advocates oppose the plan because it puts the burden for costs related to the cleanup of toxic coal ash on the customer. Of the nearly half-billion dollar increase that Duke is requesting of the Commission, $311 million is for recovery for costs spent dealing with its coal ash at its Asheville, Mayo, Roxboro, Cape Fear, Lee, Robinson, Sutton and Weatherpool facilities in 2015 and 2016. Duke estimates that its coal ash cleanup costs at those plants will total more than $2.5 billion over the next 40 years. -Ingles Markets wants to build a new grocery store on 32 acres it owns at 153 Smokey Park Highway. The plans will be reviewed during an Oct. 2 meeting of the Asheville Technical Review Committee. The Smokey Park Highway location is already home to an existing Ingles grocery store, which will be demolished. The grocery store will be 74,651 square feet, and there will be two other anchor locations created at the shopping center. Word on the street is that Verizon will take one of those locations. Depending on approval from the city of Asheville, demolition, and construction, the new Ingles could be open by late 2018 or early 2019. -The community is mourning the death of Chris Weaver, a beloved teacher at Evergreen Community School who also taught at Dickson Elementary and Rainbow Community schools. –Why I Distribute Overdose Reversal Kits in Asheville by Hillary Brown, a HuffPo contributor, is worth a read. 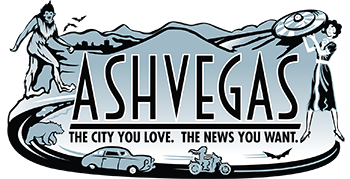 -Local ordinances to allow alcohol sales to begin at 10 a.m. on Sundays (rather than noon) have failed recently in Marshall, the Asheville Citizen-Times reports, and Bryson City, according to the Smoky Mountain News. The town of Waynesville wants public input before deciding, SMN reports. -The building at 29 Page Ave. was recently sold for $1,997,500, according to property tax records. That building is next to the new Cambria hotel under construction on Page Avenue.